What makes a memorable vacation? It is the choice of a tourist spot, for sure. 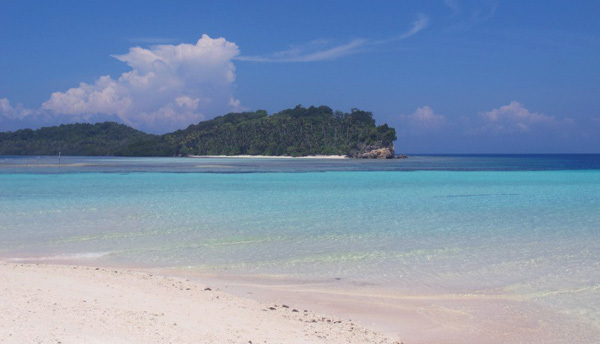 In Raja Ampat Regency, travelers can find a charming island called Yeben. It belongs to Meos Mansar District and becomes tourists’ favorite spot for sightseeing. This uninhabited island features a well-known beach with its stunning beauty. In that location, most tourists enjoy snorkeling and beach walking. Some of them are also into diving, as the water offers excellent visibility. Not to mention they are fond of island hopping. It is because Yeben is located to other islands, especially Pianemo. In terms of size, Yeben is considered small. It is covered by mostly green lush trees and some bushes. The island’s best feature is indeed the beach, coming with white sand and crystal clear water. The breezy wind of the coast is soothing, too. No wonder, almost all visitors would directly head to the beach once they have arrived at Yeben Island. Next, it is the landscape. The island has a small hill, which is explorable. That means tourists can perform hiking there. Yeben Island always impresses any visitors. Thanks to the flawless water. The clarity and visibility of the shoreline water are beyond amazing. It is safe to say Yeben has the purest seawater, as compared to others. Plus, the sand of the beach has a soft texture. Tourists can walk on it without sandals. This explains why beach walking is popular in Yeben. Even the water is warm, so tourists can play in it and get rejuvenated. Swimming is also possible! Spending times in the beach is one thing, as tourists have other options. For example, they are allowed to go snorkeling and diving. However, there is a strict rule regarding such activities. Only certified divers are allowed to explore the sea near to Yeben. Why is that? According to the locals, the number of divers should be limited in order to retain the quality of the corals. It is because reckless divers often cause harms to the nautical environment, including vandalism. Once they have obtained the permission, tourists can explore some beautiful diving spots in Yeben Island. As for the tips, it is better to hire a tour guide, so they can reach those spots efficiently. Not to mention he may help any visitors to visit nearby attractions like Waisai City and Kabui Cape. What they need are a good speedboat and some money. Plus, a tour guide’s help is quite recommended. Overall, spending much money on a memorable holiday is worth the expense. It gives tons of happy experiences, after all.